The above does not really convey what is understood, by modern day users, to be a ‘landing page’. Users now think of them as being part of a marketing or advertising campaign or promotion. In essence these are standalone pages that someone will reach after having clicked upon a ‘call-to-action’ button or link. ‘Call-to-action’ = Asking/encouraging the visitor to click upon some icon/button/link or to follow through by some other means. The primary objective is to get the visitor to fulfil the originator’s goal whether it be to: purchase; follow; register; sign-up; etc. Note: As always, in view of this website’s aims, this topic will be considered from the point of view of authors and their books. Nevertheless, many of the principles will apply across the board, no matter the product/offer. There are two types of landing page: ‘Click Through’ and ‘Lead Generation’ (sometimes referred to as ‘Lead Capture’). For the purpose of the following examples it will be assumed the author is looking to persuade the visitor to purchase a book. But bear in mind, the instigator is not always looking for a purchase. They may have some other aim as mentioned above. Aim: These landing pages should contain basic, but informative, explanations about the book/product on offer. Goal: To persuade the visitor, having enabled them to make an ‘informed’ decision, to click through to another page where they may purchase the book. More about the style and content of such pages later. Frequent mistake: Instead of providing information the page takes the visitor straight through to a purchase; registration; follow; etc. ; page or site. These generally have poor conversation rates because the visitor will have no real idea if the book is what they are looking for or if it is relevant to them. Sensibly, most will not make a purchase ‘blind’. Would you? Aim: To capture user data e.g. name; e-mail address; etc. These are not intended to lead, at this stage at least, to a purchase. The author’s purpose here is to collect information that will enable them to interact with, and market to, the visitor at a future date. The page should contain information about what the visitor/user may expect to receive in return for providing their details. E.g. 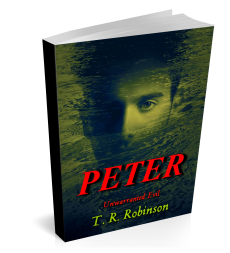 Free short story; Sample chapters; Backstories; Regular updated information; Newsletter; etc. General opinion is, the visitor is more likely to proceed if they are able to readily see some advantage to them doing so. A landing page should be a single page that appears in response to a click on a search result or on an icon/button/link in an advertisement/offer. However, there are implications for the independent (indie) author/entrepreneur. See ‘Limitations’ below. What should a landing page comprise? Headline: Clear, sharp, statement of what is on offer. Perhaps with a positive turn indicating why the visitor would need/want the book/product. Supporting Headline: A little more, relevant, information as to why this would be of interest to the visitor. Again, needs to be reasonably concise (avoiding longwinded, distracting, explanations). Photograph/Image of Book/Product: For books, a large centralised image, surround be subsequent information, would be the most attention catching. Benefit of offer: Outlining what the visitor will gain from making a purchase or by providing their details. Considered best practice is to provide this information in a bulleted list. Proof of value: This would be comprised of ‘social proof’ and/or ‘Trust Indication’. For a book this could be extracts from positive reviews. Reinforcing statement: A little bit more about the value of the product: the reason why the visitor would want to buy the book. Closing argument: Again, indicating WHY the visitor should take the action requested. Depending upon the nature of the book/product and taking into account what has already been set out this may be overkill. Each author will have to decide for themselves how much, or how little, information to provide and whether to repeat what has already been stated. They should always bear in mind the need to keep landing pages concise. Otherwise the visitor may become fatigued and simply click away to something else. Conversion goal: There should only be ONE call-to-action: one icon/button for the visitor to click. This should take them straight to the purchase/signup page. When should landing pages be used? Land pages primarily come into their own with publicity/marketing campaigns. The type of campaign does not matter, whether it is to: gain social media followers; collect e-mail addresses; market a book; etc. Of course, they could be used for other events but, as there will always be a cost involved, it may not be viable to do so. Landing pages are created by the use of a ‘plug-in’ (a software component that adds a feature to an existing computer programme). In order to be able to add a plug-in, the site has to be ‘self-hosted’. Self-hosted sites: those where the ‘owner’ has total control and responsibility for every aspect and element of the site even if the basic setup utilizes software provided by an established provider. Hosted sites: those that are completely ‘hosted’ by the provider e.g. WordPress; Blogger; GoDaddy; Wix; etc. In these the company has total control and responsibility but provides friendly, readymade, software for the user. Note: The site URL usually includes the provider’s name e.g. aarough.wordpress.com (fictitious). Users do have the option, for a small annual fee, of selecting their own domain name that results in the provider’s name being omitted e.g. aarough.com (fictitious). HOWEVER, the site remains a ‘hosted’ one and therefor prohibits the inclusion of a plug-in. The majority of indie authors have hosted sites (web, blog or both). The whole subject of hosted or self-hosted sites is a topic all of its own and not part of this discussion. The aim here is simply to assist understanding with regard to how a landing page may, or may not, be implemented. Landing page: As a rule, landing pages are obtained from third party providers. Many exist and a search of ‘landing page’ will reveal quite a few. Several of the software packages appear easy to use but do come at a monthly cost. Though generally not over excessive, these would be beyond the resources of many indie authors. This outlay would be over and above the costs of running a campaign; the platform (Facebook, Twitter, Pinterest, etc.) has to be paid. Self-hosted sites: Naturally, cost will be related to what the user is doing nevertheless, even the simplest site can cost a reasonable amount. Average estimates range from $1,500 to $6.000 (approx. £1,160 to £4,640) per annum. Quite a lot for the average indie author. Download a free book, essay, sample. Follow on Facebook, Twitter, etc. Visit another page that contains related content that may be of interest. Landing pages are a valuable asset for any publicity, marketing or advertising campaign and should be utilised where possible. Content should be clear, concise, eye friendly and informative. There should only be one call-to-action. The customer/user, should be followed up, without spamming. Constraints: A self-hosted site is required in order to utilise a landing page plug-in. For the majority of indie authors/entrepreneurs the cost of a self-hosted site together with the monthly fee payable to landing page software providers, is prohibitive. Overall, considering the costs involved, landing pages are most appropriate for those who run regular marketing campaigns and, of course, have the resources to do so. For indie authors, who usually just wish to run infrequent campaigns, the necessity for specific software and the payment of both annual and monthly fees, make them unviable.